Sorry we've been so MIA lately - we took a two and half week trip back to our hometowns to parade the baby bump around + get a good dose of family + middle of the country humidity. 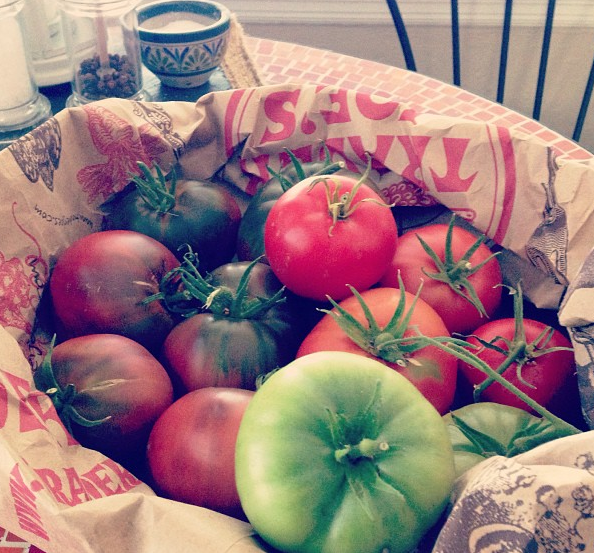 Thankfully we had some lovely friends of ours taking care of the house + more importantly our tomatoes, to which Kentucky refers to as "his sons." In any case I've been looking forward to oven roasting these babies so we can use them for various different dishes + make them last for a while. Oven-roasting is absolutely the perfect thing to do with your heirlooms or regular store bought tomatoes to make them even more flavorful + concentrate all that goodness. Plus, it's super easy + a good thing to have going on if you're planning to spend your day off at home doing laundry or cleaning or whatever-else-have-you. Arrange the slices of tomatoes on cookie sheets + set your oven to 250. Mix the rest of the ingredients + brush on top of the sliced tomatoes ensuring they are well covered. Add other dried herbs to the oil or fresh garlic if you so desire. Roast the tomatoes for 2-2.5 hours, checking them occasionally to make sure they're not drying out completely. 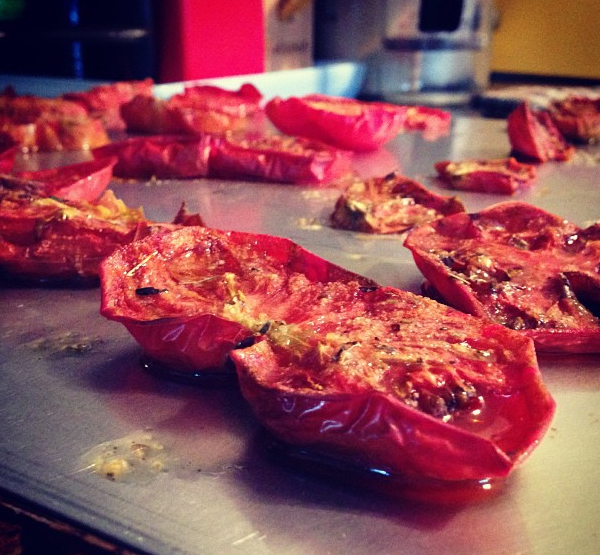 What should you do with said tomatoes once they're finished roasting? Plenty. 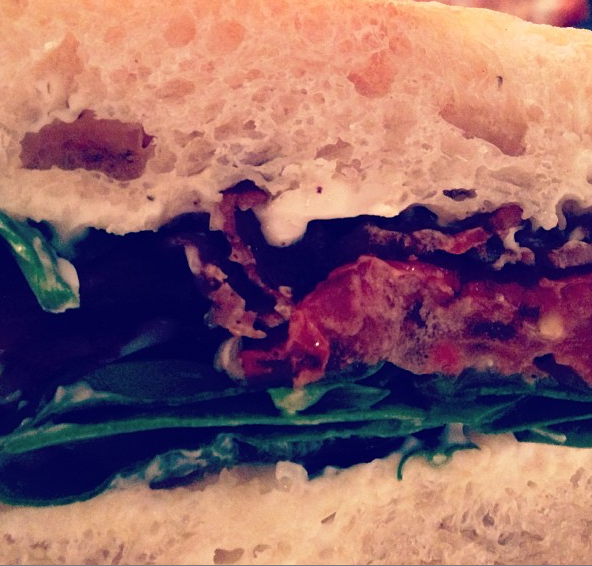 Put them in your tomato sauces, mix them with cous-cous, feta, green onions, kale + your favorite vinaigrette and make a salad or a side dish of it, or blow someone's mind and make a BLT with them (see below), TRUST + BELIEVE. I have to comment here for anybody thinking about making these... MAKE THESE! OMG they are to DIE for! They're so good plain that I don't even think I'll have any left for sauces or sandwiches. So glad I discovered this recipe; it'll be a summer staple from here on out. My Life with Kentucky is a food and lifestyle blog about two formerly urban young chefs and parents-to-be living in the bountiful napa valley. My Life With Kentucky© . Powered by Blogger.